Kašpar - Šindler, Wolffhardt, Kauzer, Funk and Westley celebrate European Champion titles in Prague. The first medals of the 2018 ECA Canoe Slalom European Championships in Prague have been awarded. 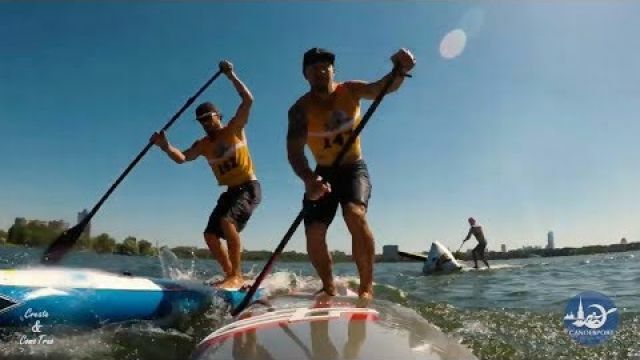 With much content for the Czech team and fans Jonaš Kašpar and Marek Šindler picker up gold medal in men’s C2 event. Austrian canoeist Viktoria Wolffhardt was the best in women’s C1 final and Slovenian Peter Kauzer was the fastest paddler in kayak final. In the first final event of the championships and what might as well be the last major international race in this category ever as international federation removed the event from World Cup and World Championships programme and many of top athletes announced retirement, Czech duo Jonaš Kašpar – Marek Šindler showed they are at home at this course and did not allow any surprise. Robert Behling and Thomas Becker from Germany picked up silver medal and another Czech crew Ondrej Karlovsky – Jakub Jane was third. Mallory Franklin from Great Britain was second and young German paddler Elena Apel, dautghter of German coach Thomas Apel who is responsible for many successes of German kayak paddlers, was third. The most anticipated race of the day was men’s kayak final with 15 paddlers on the start (ECA has a rule that 15 kayakers start in men’s K1 final, not usual 10). With Czech paddlers dominating the races here in Prague in the previous years there were expectations to see best Czech kayakers on the winner’s podium. But Peter Kauzer had a different plan. 2010 European Champion, 2009 and 2011 World Champion and Rio Olympics silver medallist produced his best run ever in Prague to finish the race ahead of two Czech stars Vit Prindiš and Jiri Prskavec. “Before the final I was making jokes that I haven’t been in the final of the race in Prague since 2011. But today’s race was perfect. The run was what I was hoping for. I tried to copy the Czech paddling style and waited to see how it will all turn out. I am very happy,” said Kauzer. There were a lot of surprises with last year's European Championships medallists as protagonists, including European champion Mateusz Polaczyk (POL) failing to qualify for the individual final. He was not the only victim of challenging course. In women’s C1 2016 European Champion Nuria Villarubla (ESP) stayed outside the final as well as last year’s European and World Championships medallist Tereza Fišerova. In men’s K1 reigning world champion Ondrej Tunka (CZE) also failed to qualify. It was a bad day for Polish kayak team. Not only Polaczyk, Dariusz Popiela, who too had a medal at last year’s Europeans, also finished the semifinal run outside top 15. Jakub Grigar, Martin Halčin, Samuel Hernanz and many more top athletes were also observing the final from the river banks. After the individual finals we’ve also seen team races. In men’s C2 team event Germany finished the race ahead of Czech Republic and France. Great Britain celebrated a win in women’s canoe, France was second and Spain third. Czech Republic with Vit Prindiš, Jiri Prskavec and Ondrej Tunka picked up gold medal in men’s kayak race, followed by teams of Poland and Slovenia. The 2018 ECA Canoe Slalom European Championships in Prague has finished with individual and team races in women’s K1 and men’s C1 event. Great Britain celebrated a double win in men’s C1 final with Ryan Westley finishing first and Adam Burgess second. In women’s final Ricarda Funk from Germany won in front of the defending champion Corinna Kuhnle from Austria. French team won the men’s C1 event and German team women’s kayak race. Ricarda Funk has at 26 years of age already a lot to show. The 2014 European Champion from Vienna repeated the success also in Prague – Troja today. 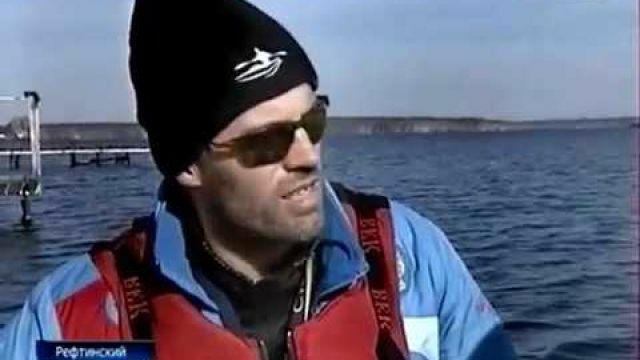 German kayaker, who is also a 2015 European and World Championships medallist in individual event and has a bronze from last year’s World Championships, finished the race 1.36 seconds ahead of Austrian Corinna Kuhnle. Kuhnle was actually the defending champion from last year and Fiona Pennie from Great Britain picked up bronze medal in today’s final. “It just felt great it was nearly a perfect run. I managed some great up streams. I am really happy about that. I still can’t believe it. It feels so great when the crowd is just cheering for everybody. It’s Prague,” said Ricarda after her winning performance. In the second final of the day Great Britain celebrated a double win in men’s canoe with new European champion Ryan Westley and his team mate Adam Burgess winning silver medal. To much delight of Czech fans Tomaš Rak finished third. 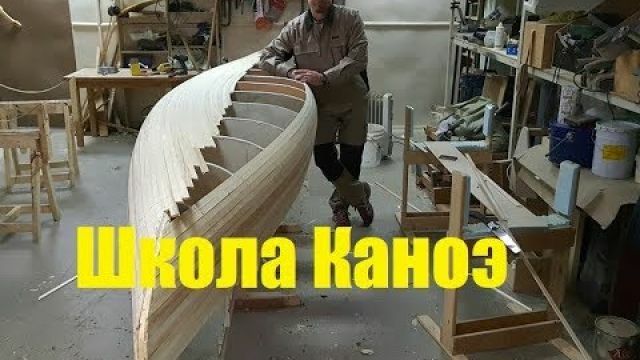 Slovak canoeist Alexander Slafkovsky who was European Champion in the last two editions (2016 and 2017) finished the event in fourth place this time. “I never expected that. My team mate Adam Burgess had put up a faster run that anyone had managed. So I just went out there to do the best I could do. Fortunately everything went my way,” said Westley whose European Champion title is one the biggest successes in his career so far. 24-year-old paddler has won a bronze medal at the 2015 World Championships in Lee Valley and has additional three medals from senior World and European Championships in team events. In the afternoon the team events have been organised and it was a celebration for Germany and France. 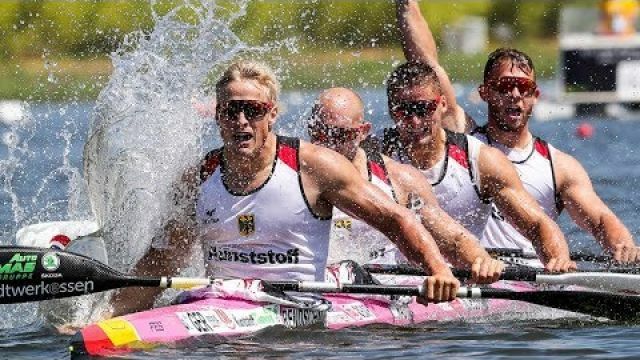 German representatives Ricarda Funk, Jasmin Schornberg and Lisa Fritsche were the fastest in women’s kayak team event, finishing the race ahead of Austria and Czech Republic. In men’s canoe team event French trio led by Olympic champion Denis Gargaud Chanut and with Cedric Joly and Pierre Antoine Tillard being part of the winning team, produced the best time to win gold medal. Slovakian team was second and Czech team third. Flag of the European Canoe Association is already in possession of the French Canoe Federation which will organise the 2019 ECA Canoe Slalom European Championships. The event will be held in Pau.